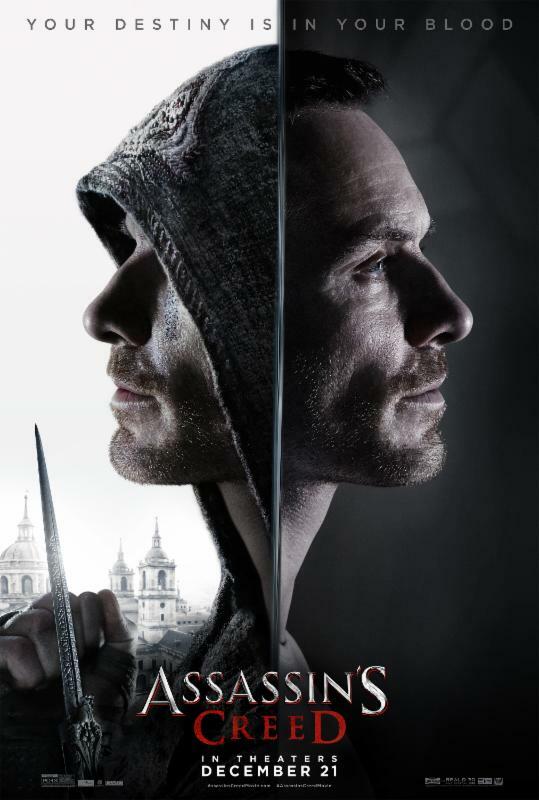 Movie Review: #AssassinsCreed Huge Let Down! - sandwichjohnfilms Movie Review: #AssassinsCreed Huge Let Down! Assassins Creed Movie has so much potential, it’s got a cool concept, badass fights, exciting chase scenes, even though parkour was so ten years ago, I’m diggin’ the style as well, but halfway through, the story starts to crumble, and it ultimately becomes just as poorly-scripted as any other game-based movies we’ve seen so far. Such a shame,.. I really thought this would be the one to break the long streak. Michael Fassbender is a death row inmate named Callum Lynch about to be executed when he then wakes up in a facility that, through a revolutionary technology called animus, tries to unlock his genetic memories, to make him be one with his ancestor, Aguilar, a member of a secret assassins society in 15th Century Spain. They have vast knowledge and incredible skills and their mission is to stop the powerful Templar organization from obtaining the Apple of Eden which is said to contain mankind’s origin of free will. Conceptually, this is a promising film. I’m willing to even put aside the ridiculous McGuffin that is Apple of Eden, but just halfway through, it’s as if the story doesn’t know how to wrap itself up nicely. It’s disjointed and all over the place. In addition to that, the dialogue is just unbearable, it’s torturous to see Oscar winners like Marion Cotillard and Jeremy Irons forced to say their lines. A junior high-schooler could’ve written a better serious conversation between two adults. A movie shouldn’t exist just because it can, and “Assassin’s Creed” is yet another evidence that riding on concept alone just doesn’t cut it.